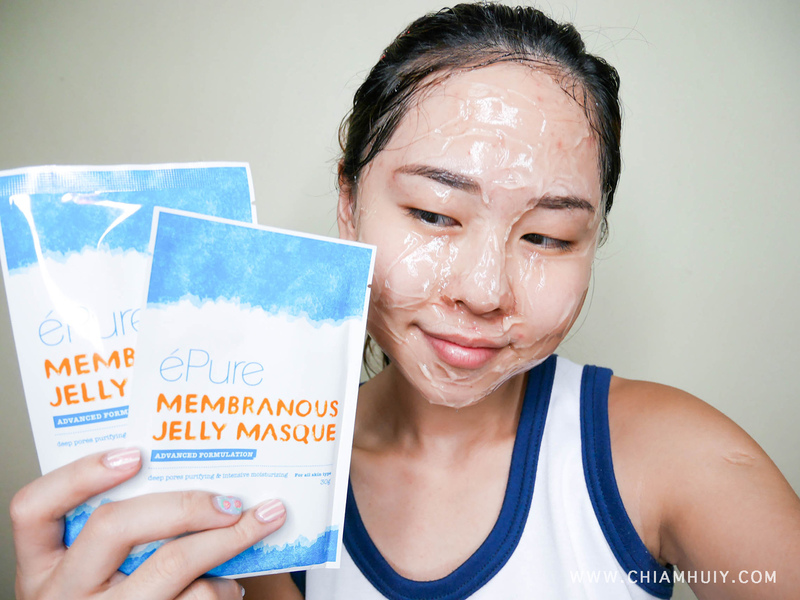 What do I like about éPure Membranous Jelly Masque the most? Definitely the jelly mask texture! When applied onto the skin, it instantly soothes and cools down my skin when laid out to dry. You can imagine the cooling effect from the jelly masque, quite an enjoyable sensation on the skin! It's also a good thing that these jelly masque do come in sachets form because it's more hygienic compared to the tub. You won't have to dip the spatula into the tub again for the second and subsequent applications. 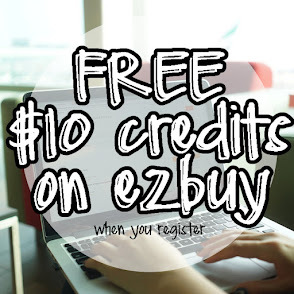 However, the application and removing process can be a little troublesome and messy. But I guess it's all for a better looking skin! I felt really refreshed and amazed by how smooth and soft my skin was after a good 40mins applying the jelly mask. I allowed it to dry on my skin for 40mins as written in the instructions. I then use the spatula provided in the box of three mask packs to scrap off the jelly masque in a downward motion. Apparently this helps to scrap off your blackheads/whiteheads too! PS: Do pay more attention to blackheads-prone areas like the sides of your nose! 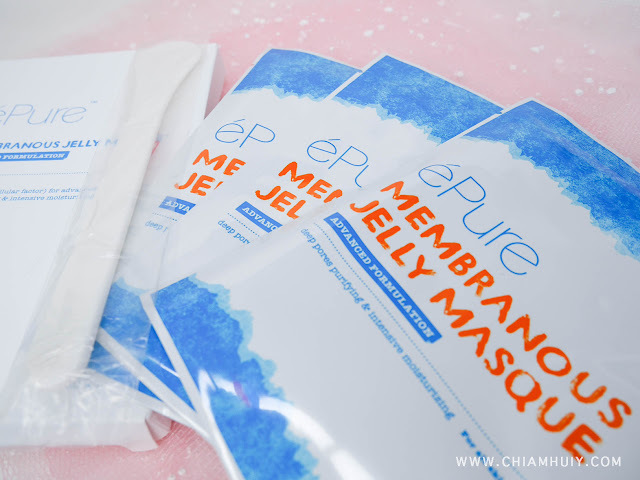 How different is éPure Membranous Jelly Masque compared to other mask out there? 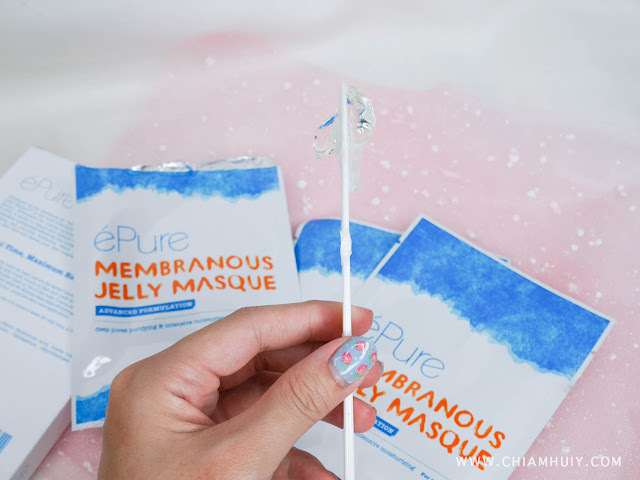 Jelly Masques are more hydrating and definitely much more cooling during application. When washed off, you skin definitely feels cooler and softer. Notice that the time for the masking can go up to 40mins, while masks of other types usually require only 20mins. I only suggest this jelly masque who have the luxury of time to apply and let it set for 40mins. It's a bit of time spent here but it's worth the wait! 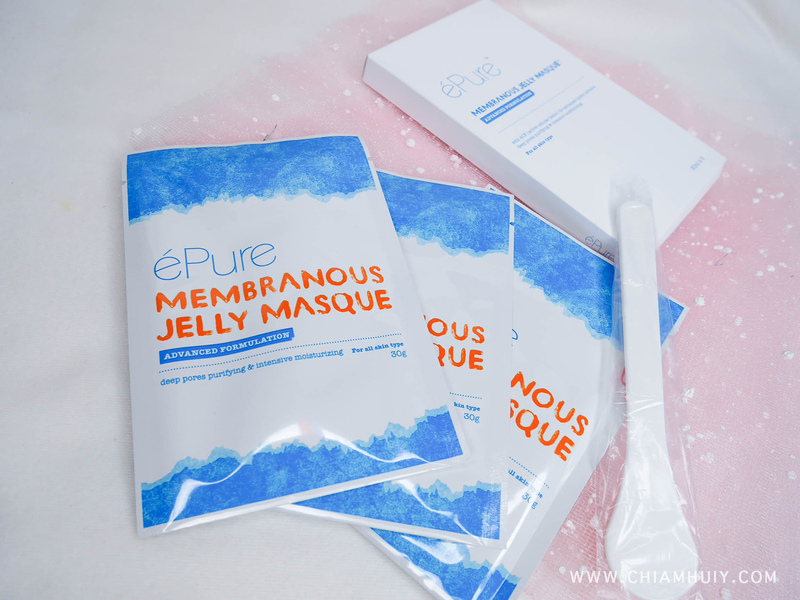 Directions: Apply the jelly mask evenly over the skin, with the masks ranging 0.3 to 0.5cm thick. You can choose to apply thicker layers on the nose, T-zone and pigment areas. After 40 mins of application, scrap off the jelly mask gently and rinse off throughly with water. Apply moisturizer after the masking. I definitely recommend this because they're so nicely packed in individual sachets, it's so easy to bring overseas (instead of a huge tub!). For more, visit éPure Membranous Jelly Masque FB Page!